Book DescriptionChess Secrets is a series of books which uncover the mysteries of the most important aspects of chess, such as strategy, attack, defence, opening play, endgames, off-board preparation and mental attitude. In each book the author chooses and deeply studies a number of great players who have excelled in such aspects of the game, greatly influenced their peers and inspired all of us. 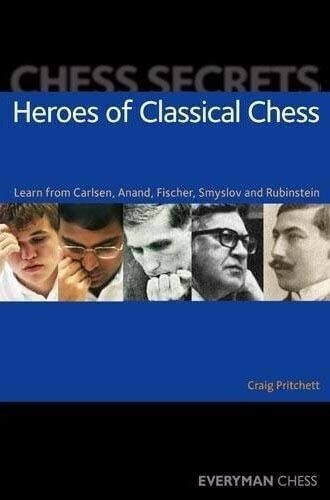 In Heroes of Classical Chess, Craig Pritchett selects five great players whose style exemplifies classically direct, clear, energetic, tough, ambitious yet fundamentally correct chess playing attributes. Pritchett studies the major contributions they have made, compares their differing styles and discusses the critical influences they have had on the development of chess, on their peers and on all our games. Read this book and enhance your own skills. Understand how to play in a classical style and win more games.